“Parker Johnston handled my case competently, professionally and truthfully without breaking the bank. Everything I was told to expect happened as he explained it. My case went smoothly and the results were excellent. Parker has a compassionate, no-nonsense approach that was greatly appreciated by this client. My calls were returned promptly and if he was scheduled to give me a follow up call, he did. Legal issues can be daunting and frightening. Parker makes the process easier to get through. Thank you, Johnston and Daniel! – Lisa W.
“Attorney Johnston provided the perfect balance between a knowledgeable professional and real person who got how devastating and life changing it all can be. I always felt that my needs were heard and met. This firm was invested in me and the outcome of my case. He took the time to ask questions and listen to my answers. Attorney Johnston was easily accessible, got back to me quickly and responds to requests in a timely manner. Attorney Johnston, his associates, and his staff all produced the quality of service anyone would want when hiring a family law attorney. 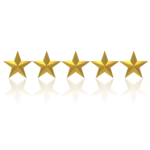 I highly recommend Johnston & Daniel for exceptional service and client care.” - Angie J. “Parker Johnston represented our family in a bitter divorce case-one that involved a child being taken out of state and false charges being filed against the father. Parker immediately took over this nightmare for us and the courts ordered the mother to bring the child back to this state. Parker battled unimaginable obstacles and was awesome in drawing out the truth in deposition and gathering evidence that proved to be in favor of the father. This case went back to court three times and each time Parker got the father more well-deserved time with the child. Divorce is a terrible thing but having an experienced, dependable, caring attorney is the only way to handle it.” - Molly T.
“Parker represented me in a heavily contested divorce. I write this to warn you, if your spouse has wronged you and especially wronged your children, like using their innocence and love for you as a tool or a weapon against you. Parker is a machine that never seems to sputter or run out of fuel. However, I’d imagine it would go quite the opposite way if you are the one that got over on your kids and spouse, so I don’t believe Parker would be the right one for you to hire for that. I won, and my kids won too and I was still able to afford a steak dinner on Saturday nights when I felt like getting back out there to start all over again. Good Luck, however luck may have less to do with it if Parker is on your team.” – Cliff D.
“I could not have asked for a better person to handle my divorce. Parker Johnston was professional, and extremely well prepared. He was considerate in the fact I was going through a difficult life changing event. Would highly recommend him to anyone that is looking for a honest attorney with integrity. Thank you, Parker for all your hard work!” – Sarah K.
“Parker has always given exceptional legal counsel. He is a man of good character who will represent you to the best of his ability. I highly recommend him if you are seeking an attorney that will work hard to present the facts before the court on your behalf.” – Farris M.